The Game Boy Player (ゲームボーイプレーヤー, Gēmu Bōi Purēyā) (DOL-017) is a device made by Nintendo for the Nintendo GameCube which enables Game Boy (although Super Game Boy enhancements are ignored), Game Boy Color, or Game Boy Advance cartridges to be played on a television. 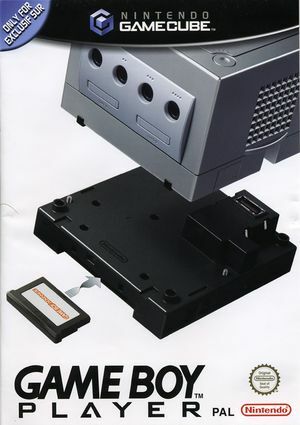 It connects via the high speed parallel port at the bottom of the GameCube and requires use of a boot disc to access the hardware. Unlike devices such as Datel's Advance Game Port, the Game Boy Player does not use software emulation, but instead uses physical hardware nearly identical to that of a Game Boy Advance. 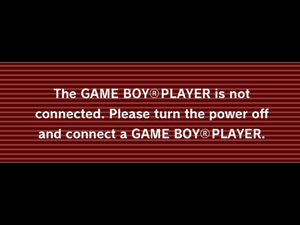 This software will freeze Dolphin with the error below due to the lack of Game Boy Player hardware emulation. See issue 2163. The graph below charts the compatibility with Game Boy Player since Dolphin's 2.0 release, listing revisions only where a compatibility change occurred. This page was last edited on 25 July 2018, at 01:08.